Yesterday we heard that the Treasury is set to quash the housing minister’s plans to introduce longer tenancies for renters in the private sector due to fears it would scare off property investors. Needless to say, this would be utterly feeble and a huge betrayal of millions of renters across London and the rest of the country. 30 years ago, the Thatcher government swept away security of tenure and rent controls for private tenants, introducing the assured shorthold tenancy (AST) agreements most of us who rent are familiar with. Aside from Tenancy Deposit Protection introduced by Labour in 2007, very little has changed for private renters since then. It used to be that very few people rented from private landlords. Most Londoners rented from a social landlord or owned their home. That situation has been reversed: home ownership is declining, and the private rented sector has now overtaken the social rented sector as the largest rented tenure in London. Far more families with children now rent privately, as well as increasing numbers of older people. Both of these groups are in particular need of stability. Yet our outdated tenancy laws were designed for an era when the sector was mainly young, single people who would only be renting for a short time before buying a house or getting a social tenancy. Private renting is now the default tenure for large numbers of people. The case for tenancy reform has never been stronger. Longer tenancies are something I’ve been arguing in favour of for many years, so I welcomed the government’s announcement in July that they were considering introducing them as standard for private tenants. Their specific proposal of a three-year fixed-term tenancy as standard is one that I have advocated in the past, and it would be a positive step forward. Indeed, in 2016 the London Assembly’s housing committee published a report recommending three-year tenancies with caps on annual rent increases as standard. Far from scrapping the idea of three-year tenancies, I now believe the government should go further than this, as I said in my consultation response. It’s time for the government to give private tenants security of tenure by putting in place open-ended tenancies and ending no-fault ‘Section 21’ evictions. 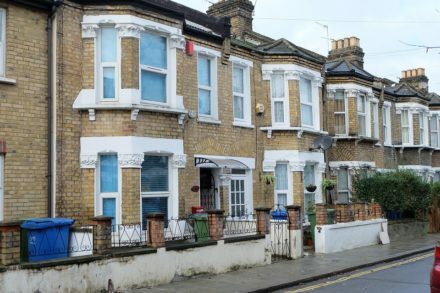 Landlords would still be able to evict tenants who didn’t pay rent, damaged the property or breached their tenancy agreement, but they would no longer be able to evict tenants for making legitimate complaints about the state of the property. This would bring our private rented sector in England into line with Scotland and Germany. The government should also cap annual rent increases in line with the Consumer Price Index (CPI) to prevent landlords hiking up the rent to get tenants out. This might sound radical in the English context, but the reality is it is England that is out of step with most of our neighbours when it comes to private renting. My response to arguments that such proposals would drive landlords out of the market is simple: so long as landlords can continue to make money from renting, they aren’t likely to exit the market. Those that do will sell their homes either to another landlord or an owner-occupier. Very few would argue that our current private tenancy laws give tenants enough power. Even with changes to the law under the Deregulation Act, which offered tenants some protection from retaliatory eviction, the weakness of that protection combined with short tenancy terms and no-fault evictions mean it’s very easy for landlords to get rid of tenants who make complaints. Landlords will also benefit from longer tenancy terms. Tenants who feel like the place they live is their home are far more likely to look after the property, and longer terms should mean fewer void periods, which cost landlords money in lost rent. I’m not sure we will ever learn to love renting privately in this country. But we can make it a whole lot easier to like by making tenants feel the place they’re living in is their home – not just someone else’s property. By killing off the proposition of longer tenancies, the government would be snatching away a rare glimmer of hope for private tenants. Tom Copley is a member of the London Assembly. Tom Copley is a member of the London Assembly, the City Hall Labour housing spokesperson and a Lewisham councillor.